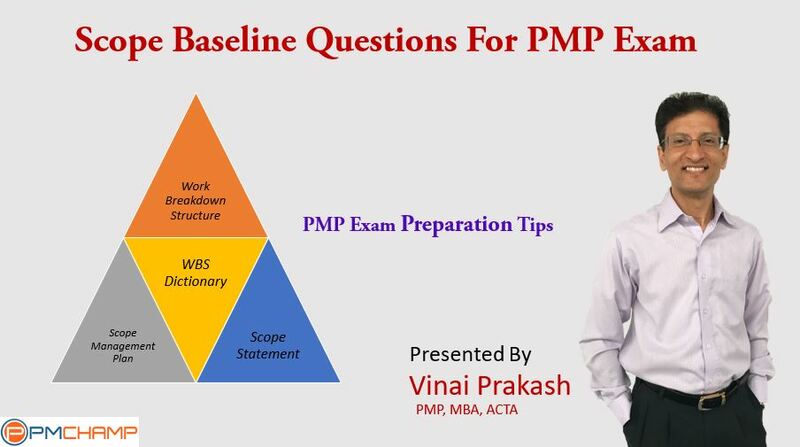 The PMP Exam questions on Baselines are easy to attempt. Once you know the components of the scope baseline, you can get 2-3 questions correct easily. Remember, Scope Management is an easy area in the exam. So score it with relatively ease. I have written previously on the Components of the Scope Baseline, and this has been quite popular with the PMP aspirants. Now I have recorded a video, which tells you more about the key components of the Scope Baseline, and the types of Questions that come from this topic. So watching this video and the earlier post will give you enough material to prepare for this topic and be ready for such questions easily. As always, check out the PMP Resources, and prepare for the PMP exam by doing as many practice tests as possible. Further, the PMP Exam is changing – about 30% exam questions will change. So prepare well in advance.. The major area impacted is on Social Responsibility and Ethics of a Project Manager. The other 3 baselines are Quality Baseline, Schedule Baseline & Cost Baseline. More on these soon. Check the Best PMP Resources for a Free and Paid PMP exam Questions.